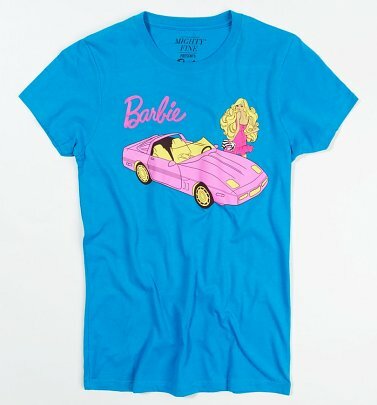 More than just a classic doll, Barbie is a total cultural icon that we absolutely had to pay tribute to with our stylish collection of Barbie T-Shirts and clothing! Ruth Handler was inspired to create Barbie after noticing her daughter Barbara often giving her dolls adult roles during play. Completely different to the baby and toddler dolls that were prevalent at the time, Barbie was totally radical and since her 1959 debut Barbie has undergone countless transformations and fashion moments through the decades to reflect the times (like her eyes facing forward instead of sideways as a result of the feminist movement!) With an incredible career history, from astronaut to doctor to pilot, the philosophy of Barbie has always been that through this doll, little girls can be whoever they want to be. 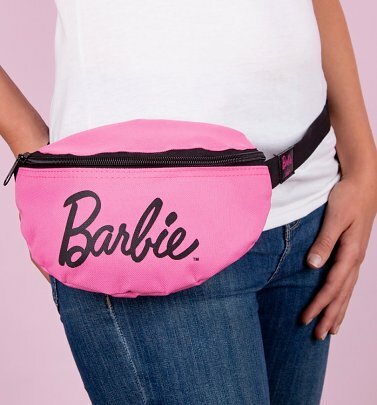 We're paying homage to the world's favourite doll with plastic-fantastic Barbie jewellery and Barbie clothing, inspired by old-school shapes like fun crops and slouchy off the shoulder styles, as well as contemporary cuts like our Barbie boyfriend tee. Featuring classic designs from the '80s and '90s and some super-cool modern prints, the collection is a true trip down memory lane! We also think it's fitting to celebrate the world's favourite lovebirds - a made-for-each-other couple since the '50s, our official Barbie and Ken tees and tops are just made for you. 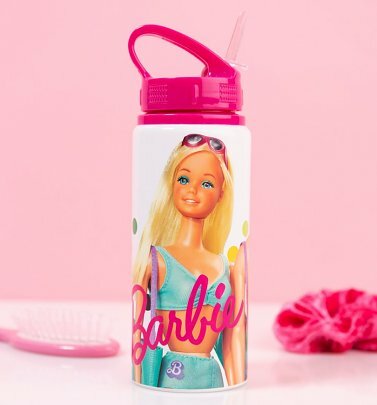 In pretty pastels and vivid brights, our Barbie goodies are a perfect way to show your Barbie love loud and proud and bring back some fuzzy feelings of nostalgia.